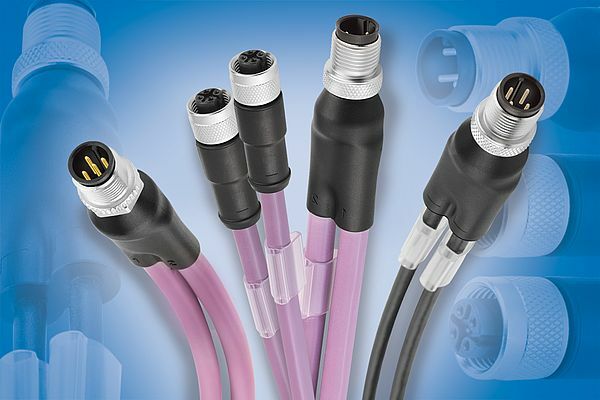 In addition to the previously known duo distributors, Binder now also supplies models with shielded cable. The duo connecting cords are available with shielded control cables or for bus applications such as CAN bus in A-coded and for PROFIBUS in B-coded.The A-coded cables are available with hexagon die-cast threads for CAN bus and as shielded standard version. The B-coded PROFIBUS version is completely shielded.The standard length is 1 m, other cable lengths are available on request.